It is very important to allow for this movement, the cladding should be fitted with a 4mm expansion gap. We mill Larch with a 14mm long tongue to ensure there is always sufficient engagement. We also recommend fitting with stainless steel screws. 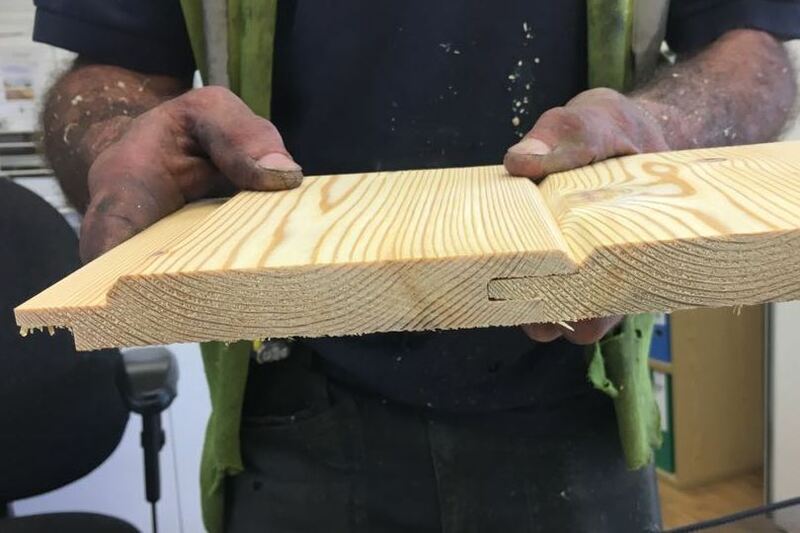 The picture shows our secret fix Siberian larch Cladding with a 14mm tongue engagement and a further 10mm overlap to cover the fixings.